Billie Eilish’s meteoric rise to global stardom has been nothing short of phenomenal and arguably unparalleled to date. Since her ‘ocean eyes’ debut, Billie has quietly, yet unapologetically infiltrated the forefront of pop. Thanks to a growing legion of loyal followers across the globe, an EP that has sat in the Billboard Top 200 for more than 18 months now. 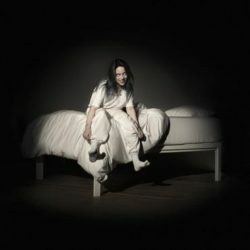 When We All Fall Asleep, Where Do We Go was written, produced and recorded entirely by 17-year-old Billie Eilish and brother Finneas in their childhood home of Highland Park, Los Angeles. Recorded in Finneas’ bedroom opposite Billie’s, the pair spent most of 2018 writing songs on the road, then spending many days and nights when off the road, at home, recording the album. The first to be revealed since the album announcement is “bury a friend,” a driving tour-de-force of a song, trailblazing its way into the world and sounding quite unlike anything else that’s out right now. Reaffirming Billie Eilish’s place, always ahead of the curve, never compromising her sound or vision.